Long before we had the internet and email, and the word ‘Scam’ came into use, we weren’t aware of what it was known then. Certainly going back many years in the UK (as well in many countries around the globe), they were referred to as the ‘wide boys,’ out to rip off anyone, irrespective of age or gender. The ‘silver tongued’ salesman who had the pattern to ‘sell sand to the Arabs’, as the saying goes. These type of scams have been with us for years (it’s a fact of life), so it’s nothing new and even the scammers can’t get their act together from the start. The fact that email and the internet have made things easier these days, this is just the execution of their false portrayal. The operative word here is ‘Scams’. Their ‘MO’ has to be credible, so why be offering someone ‘millions’, when it’s just not real. More so when you have no relations in America, why be faking under such a pretense! In the hustle and bustle of modern living, the pace of society is such all are under pressure. Be it at work or bring up and young family, or down to that we don’t have the savvy and aware of such scams. Or even with the case of protecting elders from scams online. The likes of LinkedIn or Facebook are huge repositories waiting to be tapped by the criminal fraternity. One could say ‘scams’ reflect today’s society, but not the future, as all are part of the continuum of life. Using the Internet and your email must be done in a disciplined manner, and all users must be security conscientious at all times. Unfortunately, this is a 24 x 7 fact of life, alas one slip up and the foe is waiting to strike. So, let’s take a look at the scams and ways to stop such unpleasant entries. Emotional LinkedIn scams – You are contacted by a Senior Relationship Manager at the NatWest bank, informing you of a tremendous amount of inheritance money due to you, in Canada (or anywhere else). To gain access, please send us your bank details and we can make an electronic transfer so that it will be immediate, no risk and painless, with no worries. Wow, but wait, I don’t have any relations in Canada, I’ve never been there!! It’s your bank details they’re after, these are valuable commodities on the cyber black market. So, don’t fall victim of such LinkedIn scams – show no interest and say bye-bye to scammers sending such messages you over LinedIn, straight away. Now even I could be seduced by such an offer. LinkedIn has been used in the past; people have fallen for such an attractive job. However, their trace vanishes, but the valuable entity that’s been harnessed, is the personal details of the unfortunate few, and these details end up on the cyber black market. Illegitimate contact request – Your day is going from bad to worse; then you receive an email which pays you lovely compliments, and makes you feel better. It goes on to say they would like to have a chat on LinkedIn and has a ‘link’ for you so you could meet up. Feeling like you need uplifting, you go ahead. The ploy here is, should you select the link, it redirects you to download malicious software which will infect your computer! You better try to spot fake connection requests, get alerted at the first place. The important aspect here is not to go ahead on your email, but log on to LinkedIn and verify that this person exists. Obviously, as they don’t you delete the original email you received and saved yourself a lot of grief and heartache concluding that it was a LinkedIn request scam. Dating/Romance LinkedIn scams – LinkedIn albeit a professional website, in fact it’s a honeypot for information. Anyone who uses LinkedIn will be well aware of the diversity of personal data that’s captured. A young lady in Australia received a missive appreciations in her LinkedIn account. And so, ‘That the instigator was doing some general searches and came across her profile. Praising her in the most polite manner, that the sender would dearly be honored for them to meet and chat online’. However, the message was not addressed to her by name, but generic, which I find questionable. A genuine person would be polite enough to send the email to her by name. Although this type of message may be charming, don’t be seduced with sweet words. Be cautious to check emails like this out, as it would be from a scammer. What the scammer does in reality, is to store or sell on your details, they could go so far as to redirect you to a web address, but it’s a front for malicious software. Spear-phishing/Whaling ploys – By pre-scripting what looks like an authentic log in form, with enticing wording that is attractive for you to complete. 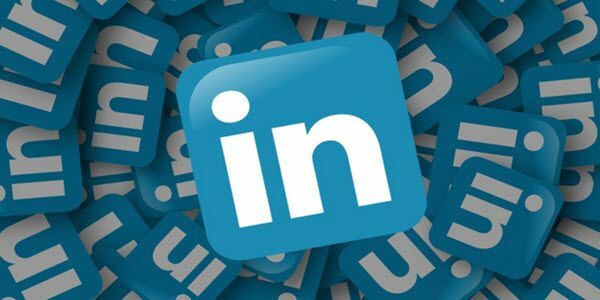 It could be an offer from LinkedIn to have a free month’s trial of their ‘Premium’ account – though, to activate this requires you to log back into the LinkedIn. ‘Well, I quite fancy the offer of a free trial, that way I could see what the benefits are‘. The key thing here is that you need to log back in, but in reality you’re not logging back into LinkedIn, but a site to steal your data. When this type of activity is done against Chief Executives, it’s known as ‘Whaling’, so that the attack could affect whole companies. After all, when in doubt, use your ‘delete‘ key without thinking twice to avoid nasty LinkedIn scams. If it’s genuine, you’ll be subsequently contacted, and another email will be received, though this just doesn’t take place. It’s not a crime to use your delete key! Tread carefully out there, as unscrupulous individuals prevail everywhere!!! How secure is VOIP communication and how can you make it safer?